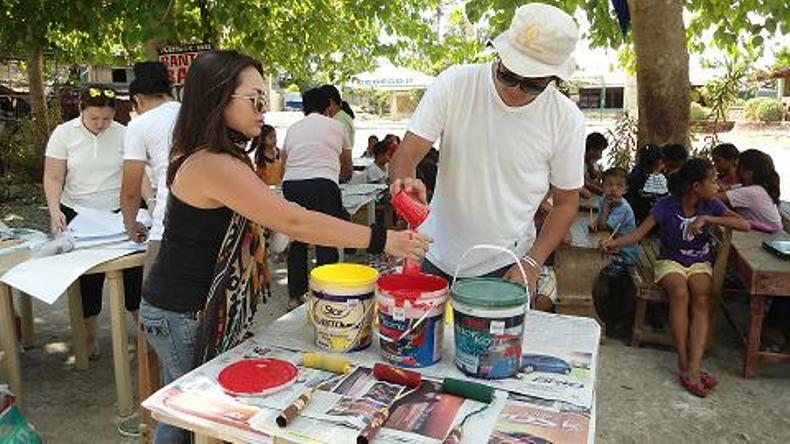 It was in November 2013, when Typhoon Yolanda hit the Visayas Region and left vast destruction to the properties and to the people – young and old. 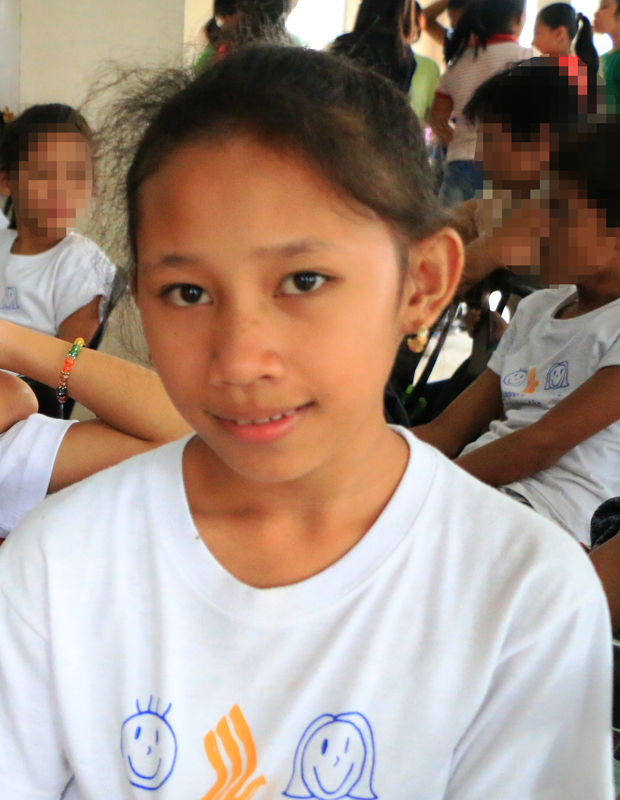 When young kids were asked, what they remembered of “Yolanda”? 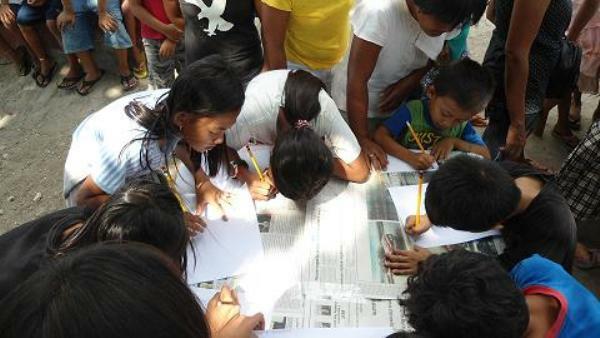 Most of them answered “Bagyo nga naguba sa among balay ug eskwelahan” (The typhoon that destroyed our homes and schools). 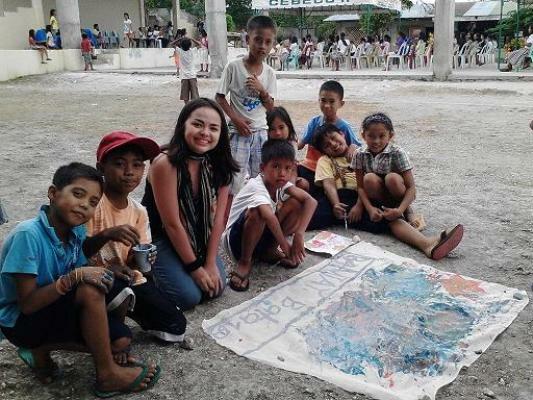 Calamities like typhoon, flood and earthquake are familiar to the children and to experience these calamities are inevitable. 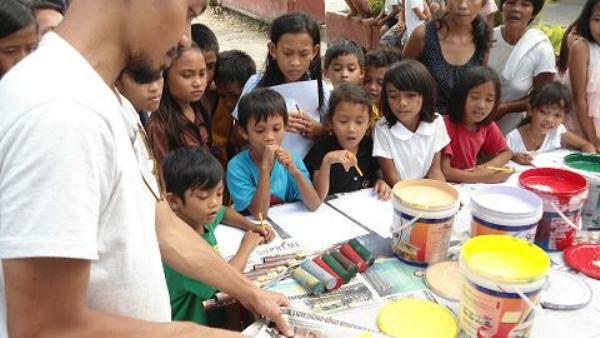 Yet, helping the kids to address their fear and empower them with much information about disaster preparedness is very basic. 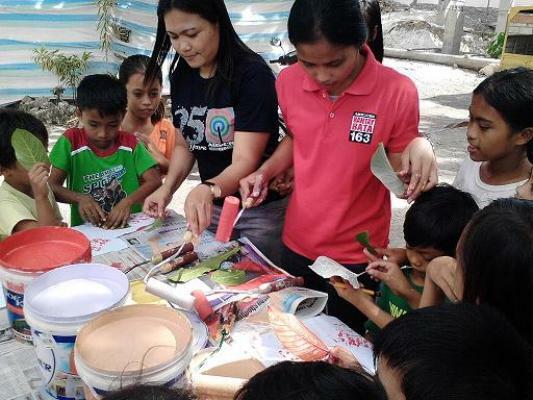 Bantay Kalusugan Project of Bantay Bata 163 is one tool helping the kids not only to gain more weight but also strengthen their capacity and capability as children. 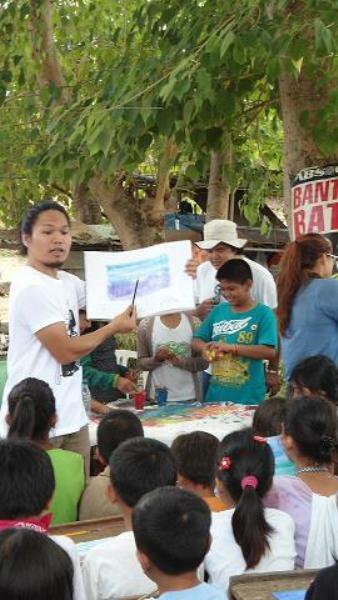 Bantay Bata Cebu conducted an Art Therapy Workshop to the 300 wasted kids of Argawanon Integrated School and Hagnaya Elementary School, with the help of Volunteer artists from 856 G Gallery of Mr. Jing Ramos, who taught the kids to do artwork with the use of watercolor, paints, and other indigenous materials. There were two venues of the activity. 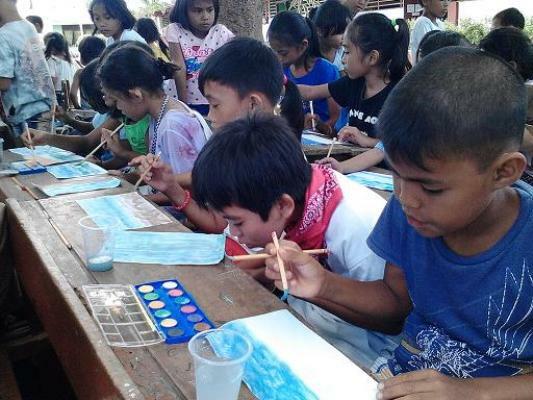 Art Therapy session in the morning was conducted in Argawanon Integrated School and another session in the afternoon at Hagnaya Elementary School. 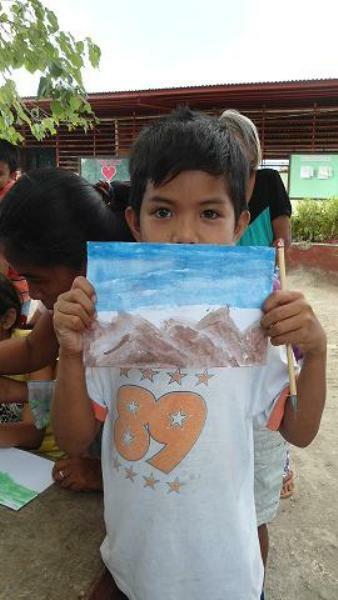 The kids were very happy, enjoying the paint and watercolor as primary tool in their artwork. 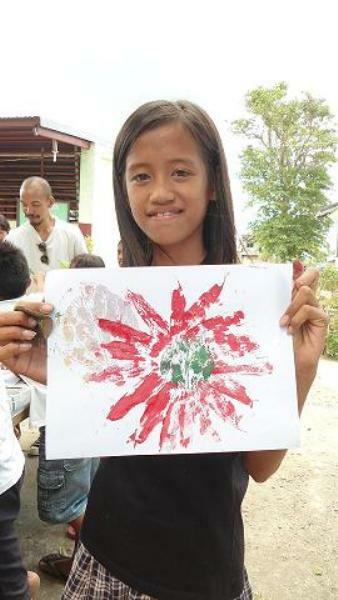 Each kid was able to express his/herself which their innocence and simplicity are very apparent in their artwork.